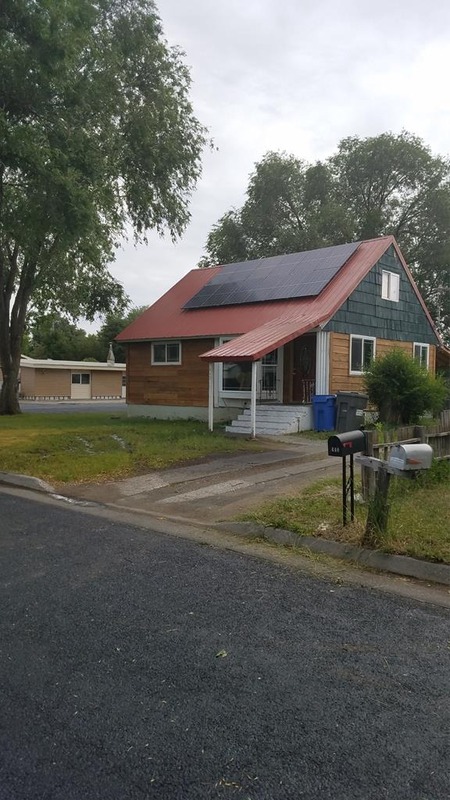 Charming 4 bedroom home for sale in St. Anthony, Idaho! How would you like your power bill to be $0?!! Solar panels have been added to the front and back roof which in turn gives you credits on your power bill! The estate features 4 bedrooms and 1 bathroom with a newly remodeled kitchen and custom cabinets. The basement is being used as the master with a walk-in cedar closet and is ready for a bathroom to be added and comes with a new sump pump. There is new cedar siding too. Located near schools, the St. Anthony Family History Center, St. Anthony Canal, Henry’s Fork and, Monkey Rock! Come check this home out today! Contact Hamilton Realty for your private showing at (208)624-4382. Priced at $132,000.